We had a great couple of days eating, shredding pretty paper, and spending quality family time. On Christmas Eve we went to Derek's parents and played some games, ate the best ham I have ever tasted, and Anders fell in love with his chameleon puppet. We came home to put Anders to bed by 7:00 and curled up and watched Elf. Will Ferrell's "SANTA!!!!" never gets old. Anders woke up nice and early, perfect for his excited parents. We brought him down to the tree and started to open stockings... Anders didn't get past his Lindor. We then had some fun opening the rest of our presents. Anders got some jammies and a story, Derek got a snowboard, and I got my long overdue extensions. The rest of the morning Derek played with Anders and I tried to figure out how to put in the blasted extensions. 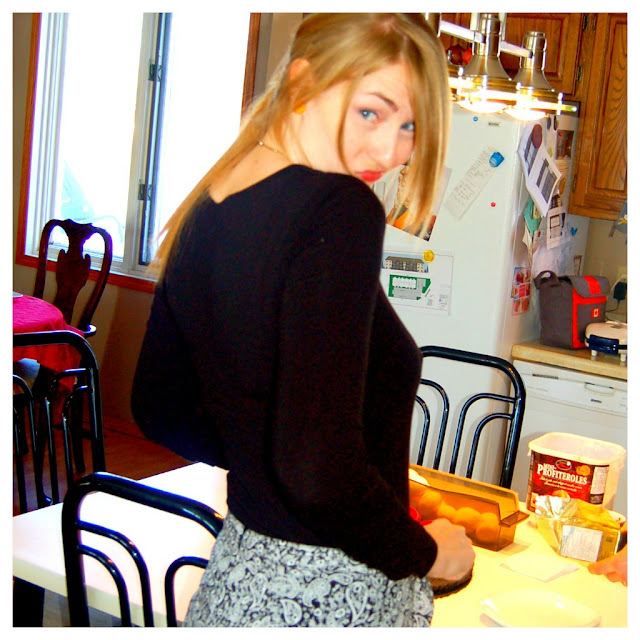 But I sure loved having long hair again once they were in. Best 2 hours spent. We then headed over to my parents for brunch and Derek cooked up a storm making his waffles. Once everyone got there we opened up presents and my poor brother got a stomach flu. He ended up going to bed and the family worked on a puzzle. We finished off with a fabulous turkey dinner. 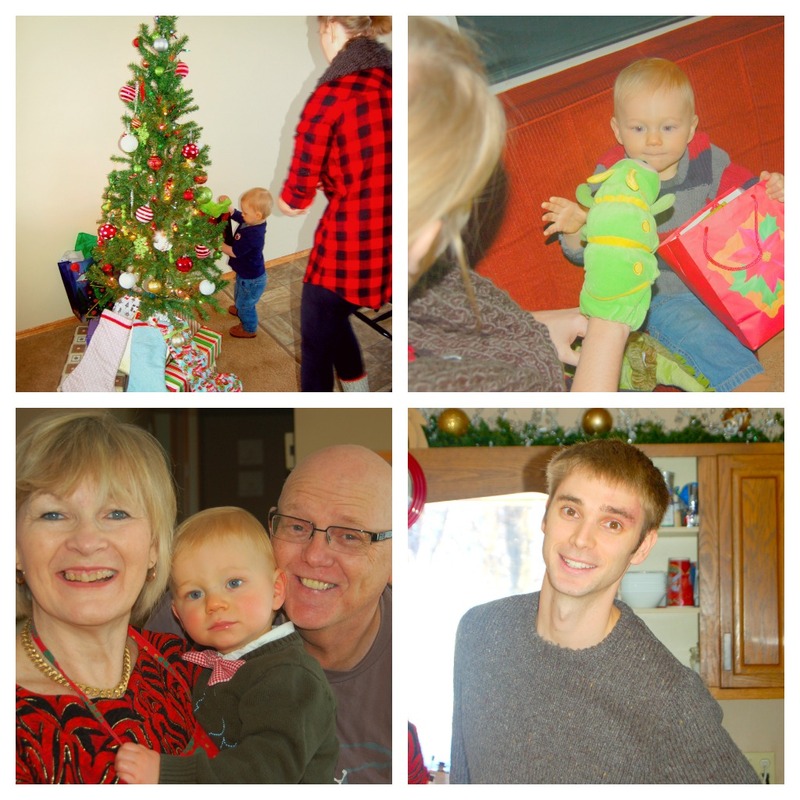 All in all a wonderful 2012 Christmas! Anders....what an ADORABLE kid! Sounds like y'all had a very happy holiday! Happy New Year darlin:)! Awwwww. 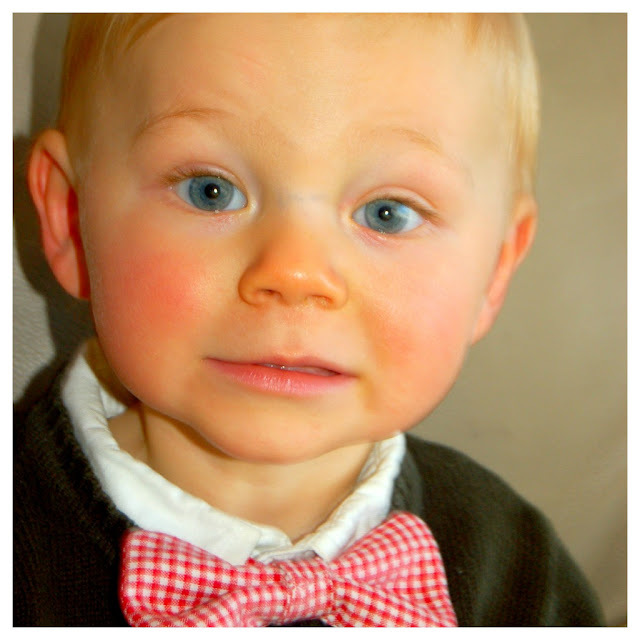 The little one, all dressed up with the bow tie looks so so cute! your long hair is sassy! i've never had really long hair, but i often wonder what it would be like. extensions one day perhaps. also, elf is one of the best movies OF ALL TIME.